Much in the way that the supermarkets have a ‘value’ range, the Fiat Panda has always been something of an essential no-frills car. Previously, what it lost out in seemingly being designed with a ruler, it made up for in dependable charm. Now there’s a new model and it promises, according to Fiat’s boss Olivier François, to be “the official car for doing whatever the hell you like”. But can ‘Value’ still cut it in a market full of ‘Finest’ products? Fiat made their name in building charming little cars with their first such model being the Fiat 500 Topolino back in 1938. 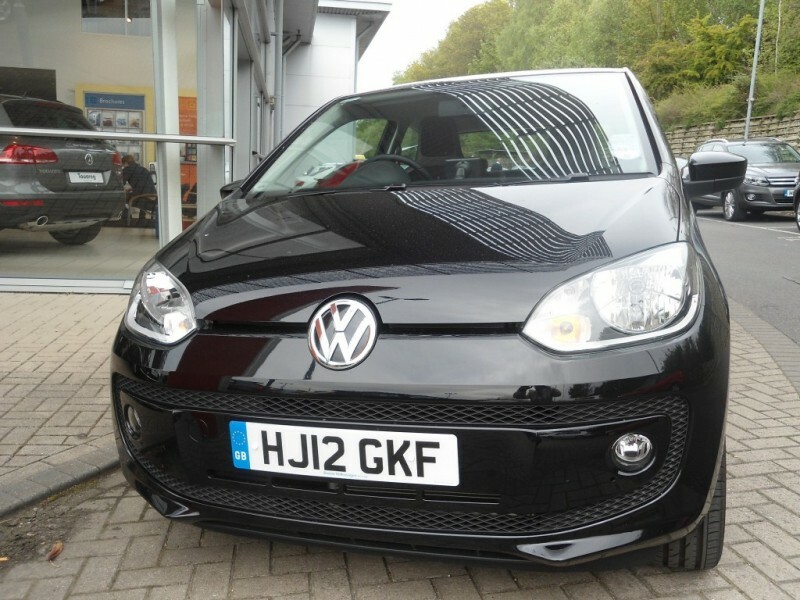 The first Panda didn’t arrive until 1980 and the new one arrives into a market that is under battle on two fronts; the Koreans with their extra value range (Kia Picanto and Hyundai i10) and the Germans with their quality range (Volkswagen UP! and Polo). 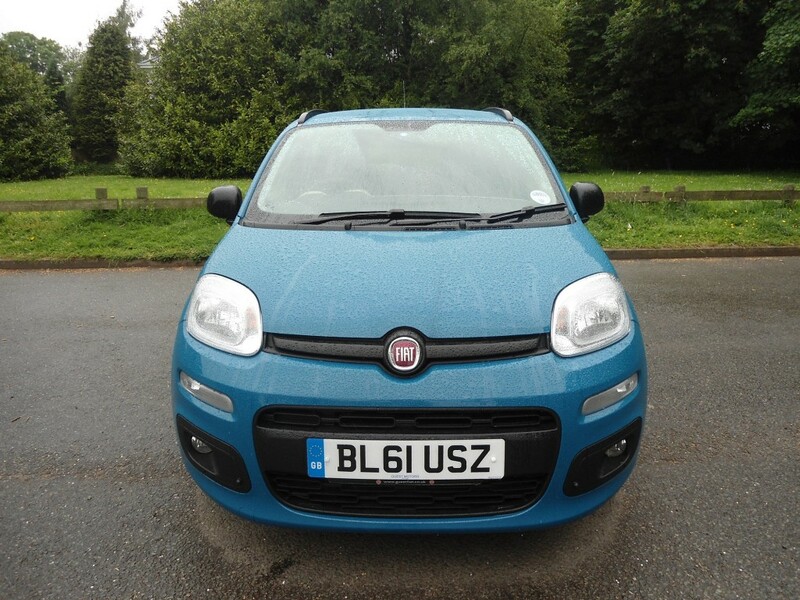 Nevertheless, success, in many hopes, rests on this little car as it is integral to Fiat’s sales. Over the last 30 years, on average, 200,000 have been sold each and every year. The previous generation won the coveted ‘Car of the Year’ award back in 2004. The Panda has form but, in this game, progress is swift hence why Fiat developed this all-new model rather than simply re-skinning the old one. We took a new 1.2 Lounge to see how it stacked up. Some cars don’t require distinguishing badges to confirm their identity; the Porsche 911 is one and the Fiat Panda is another. Like Porsche, Fiat clearly believe in an evolutionary rather than revolutionary approach to design but, look closely and there’s more rounded edges where previously there were seemingly ruler-inspired lines. To illustrate this, the drag factor has been cut from a previously unimpressive 0.40 to a sleeker 0.33. Remember the higher the number the worse the car will move through the air resulting in higher emissions and more fuel consumption. Not satisfied with just abandoning their rulers, the designers even found their creative spark to fill the car with ‘Squircles’. A Squircle, it would seem, is what happens when a square and circle come together for carnal relations. Now normally I would be the first to reach for the marketing sick bag but they do add character to the design and are to be found everywhere, from the headlights to the three quarter glass panel. They’ve even found their way into the interior too! Compared to the charm and cuteness of the 500, the Panda is clearly more functional with an ethos to simply get on with whatever job you ask of it but there’s still a cheeky grin to it all. 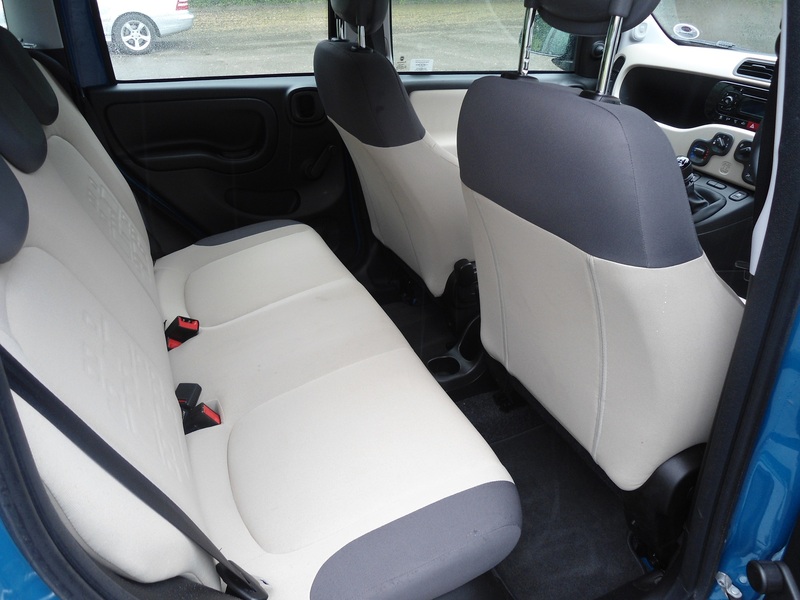 The interior on the new Panda has been maximised for practicality; step inside and you are immediately aware of the feeling of space which is helped by the large glass area of the car. There’s loads of headroom and it could comfortably take four ‘Fat Club’ escapees if it were ever asked to do so. The feeling of spaciousness is emphasised by the light colour plastics that help to give the cabin a cheery feel. Those blessed Squircles are everywhere too; on the dials, the heating/ventilation controls, even the gearstick features one! But it really helps to lift what could have otherwise been a bland cabin. Yes, Panda majors on price but you don’t feel that way when you sit in it. 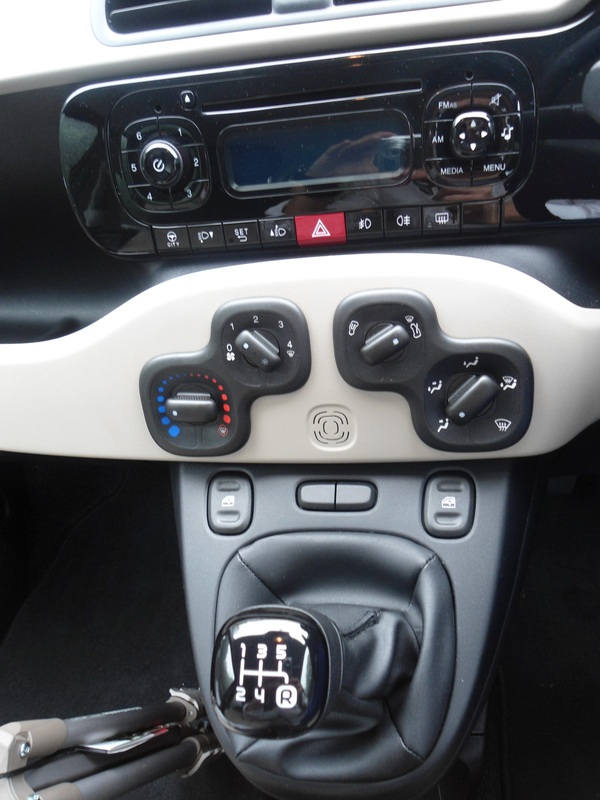 As the driver you sit high and upright but all the major controls fall nicely to hand, emphasised by a gearstick that is mounted high on the centre console for ease of use. 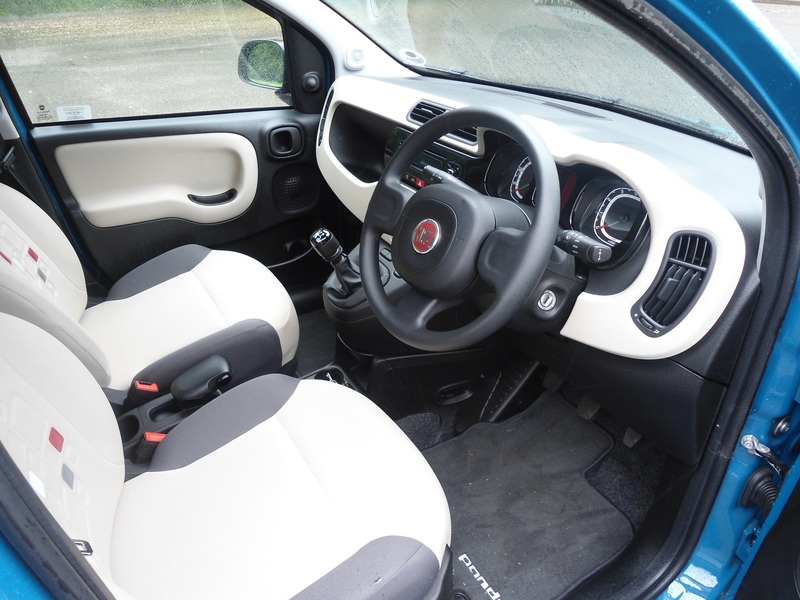 Although the Panda does not follow the funky agenda as laid out by the 500, there are many different colour combinations for the interior so your Panda can still stick out from the humdrum crowd if you wish. 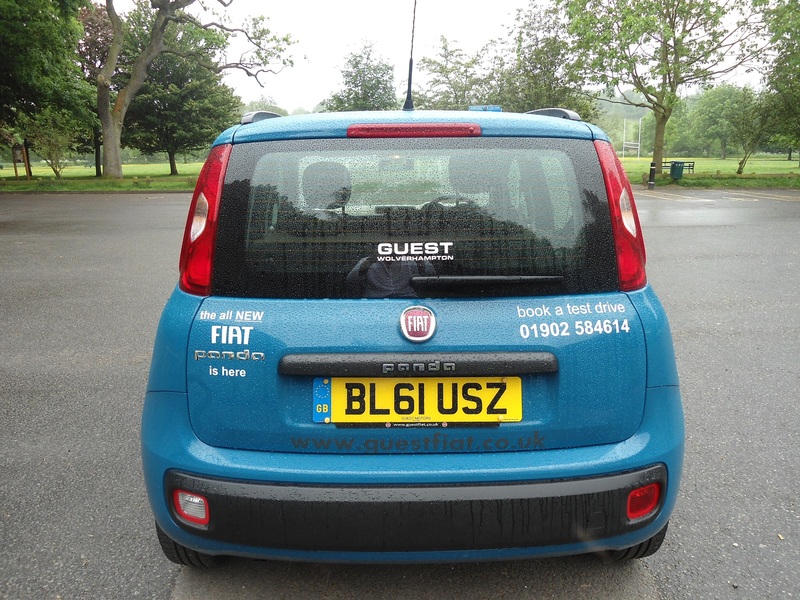 Our Panda was fitted with the 1.2 litre engine which is a very smooth little unit and one that doth not protest too much if, let’s say, you want to drive it in an authentic Italian style! Coupled with a gear change that encourages fast changes by being sweet and accurate and nimble, handling the Panda is a surprisingly good car to hustle along. I say surprising because when you are sat high in the driver’s seat you automatically assume that the car will resemble something of a galleon on the high seas if you try to drive it with enthusiasm along a windy piece of road. And yes, of course if you push hard into a corner, the Panda’s nose will push wide but the limits of grip are far higher than you would expect. Many of these Pandas will be destined for the hire car market which means that suddenly the fastest cars on the road suddenly got a whole lot quicker! The other surprise with the new Panda is just how refined it has become. This new version is a lot quieter and it rides exceptionally well over the dimpled road surfaces that we have here in the UK. The steering is nice and light which does not make for much in the way of feedback but it does make for an easy peasy driving style. The quality of the drive has come about by significant changes to the suspension which have reduced the previous Panda’s ability to want to travel straight on when cornering by 20 percent and body roll has been reduced by a galleon busting 35 percent! Other engines are available such as Fiat’s fabulous Twin-Air which, as the name suggests, consists of two cylinders and with the aid of turbocharging makes for a fabulous drive with real thrust accompanied by a grin-inducing throaty noise. But as we have found what you get in driving fun it taketh away in much lower real-world fuel economy figures. 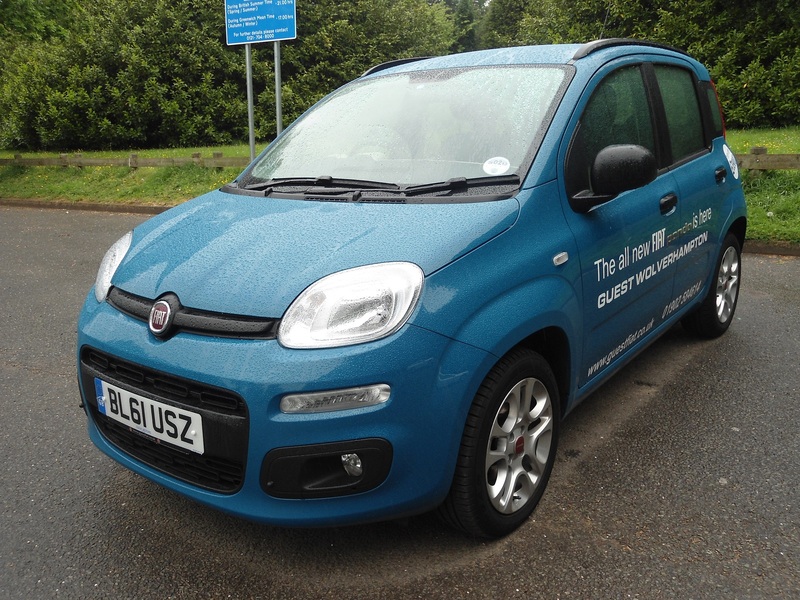 There is a 1.3 Multijet diesel engine which blunts the handling of the little Panda somewhat given the extra weight in the nose of the car but it does make for a relaxing driving style with strong pulling power and still healthy fuel economy. Want the smallest removals van in the world? This could well be the car for you! Panda offers an array of storage space, sixteen different interior compartments no less! The front seat backrest can also be folded to create a coffee come picnic table. 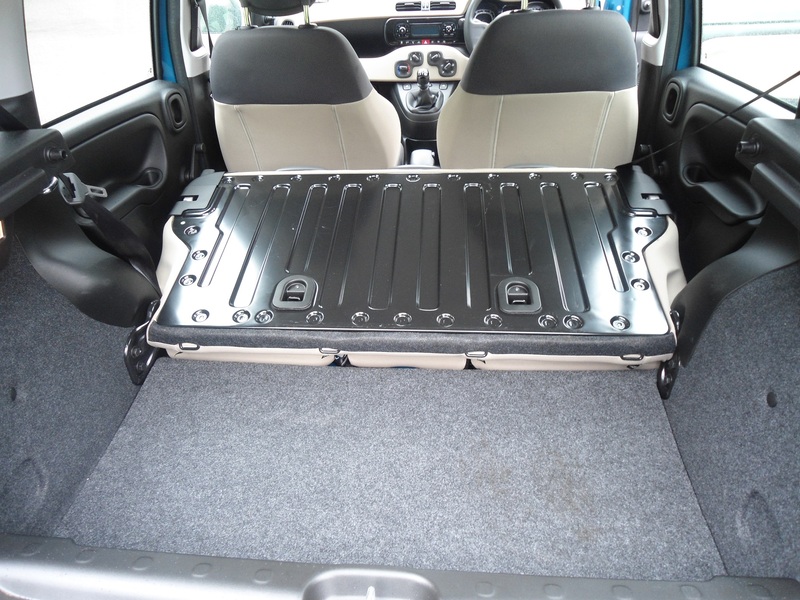 The rear seats fold flat and slide as well which transforms this little city car into a cargo ship of a car. When compared to the previous Panda, boot space has been increased by a healthy 55 litres to bring a total of 260 useable litres of space. This is also helped by the fact that it is a flat square space which makes for easy loading. Rear accommodation is also healthy with improved leg and knee room for the economy passengers and head room is Marge Simpson-accommodating thanks to Panda’s lofty proportions. The Panda is no longer the cheap entry level model that it once was, but then it now has to appeal to a wide range of consumers so had to cover more bases. It still offers strong value for money with healthy second hand values meaning that as an investment it is not a bad proposition. The TwinAir is the eco-headline grabber with offers of 67 miles per gallon and CO2 emissions of 99g/km, combining with the promise of no road tax nor London congestion charging. 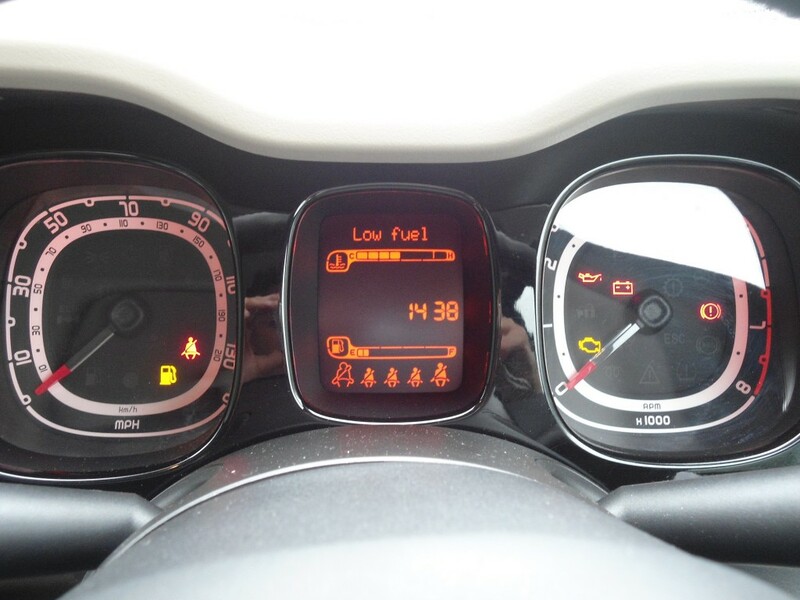 However, as we have found, don’t be lulled into the fuel economy figures as you will struggle to get close in the real world. The diesel is more realistic with estimated fuel economy of 72 miles per gallon, but then it does carry a £2,000 premium over the 1.2 petrol engine in the first place. The 1.2 engine is the safe middle ground offering decent economy of 54 miles per gallon and, at a starting price of £8,900, good value. We would recommend that you step up to the ‘Easy’ model which offers that vital for-resale air-conditioning as well as a CD player with MP3 compatibility. 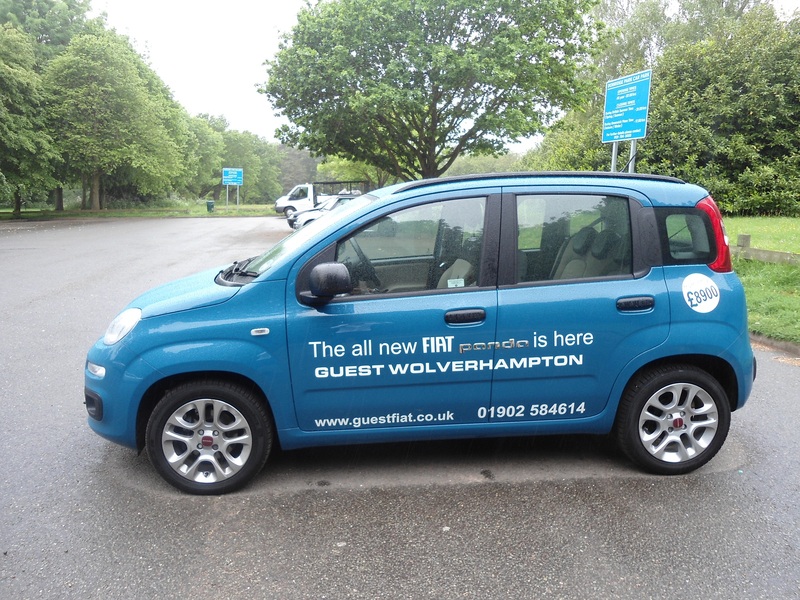 The new Panda is a charismatic little car which offers an entertaining drive mixed with real world practicality. Like the boss said, it is the car for all needs. And as we say, it is Value priced but Finest feeling. Pros: The class leader in many respects, does everything well. Cons: A little bit bland. 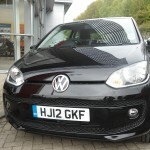 This entry was posted in Car Reviews, Fiat, Fiat Panda and tagged car buying advice, car finder, Fiat Panda, My Car Coach, My Car Coach review, MyCarCoach, Nick Johnson, personal car expert, The easiest way to buy your next car, Volkswagen Up! by Mr.CarCoach.. Bookmark the permalink.